Production Room for recording of the solo and group performances of artists. IPTV studio for production facility of video recordings. The room has separate audio mixing console for recording and editing of audio programmes. 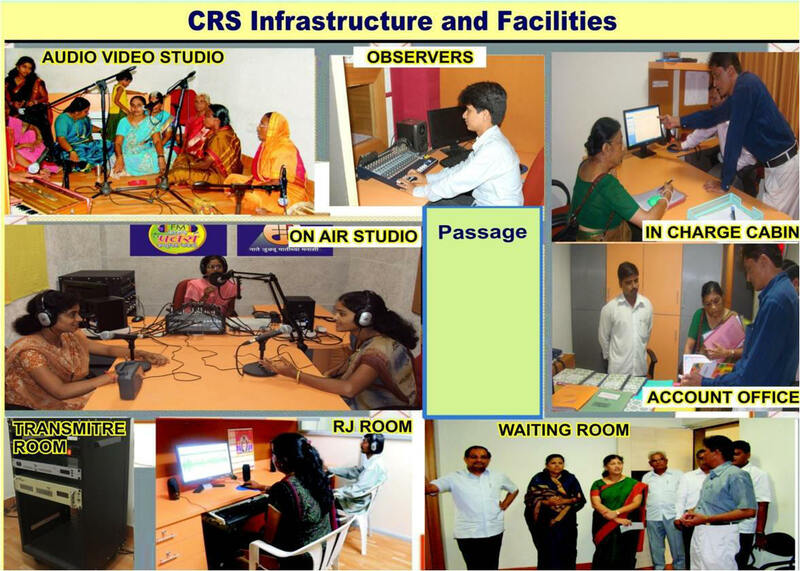 The On-Air Studio is also unique with audio mixing console, CD player, computer, audio logger facility, near field monitor for sound quality management, sensitive microphones, telephone console with two incoming telephone lines for interactive sessions during live phone-in programmes. Both the on-air studio and production rooms are having air conditioning facility for environment control. The transmitter is 50 watts transmitter connected to low loss RF cable which is further connected to antenna attached on a self supporting tower with a height of 30 meters from ground level. The tower and the other broadcast equipments are connected with three phase electricity connection. CRS equipments are properly secured from lightening strikes and power leakages by properly copper wire earthing and lightening arrestor on the tower.